'Dickie' Morris was born in Newtown, Wales in 1879 and began his career with his hometown club, having served with the British Army during the Second Boer War. Whilst with Newtown he won the first of 11 Welsh caps before joining Druids of Ruabon in March 1902. Shortly afterwards he signed for Liverpool and made 39 appearances for the club, scoring five goals, over the next three years. 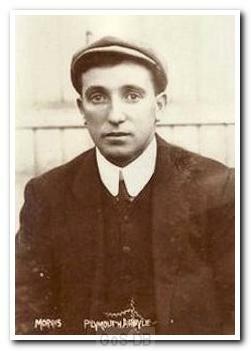 In 1905 Morris, an inside-left, joined Leeds City in search of regular first team football. He was ever-present in the side until suffering an injury against Grimsby Town in December of that year, after which he played in only four further games. Whilst with Leeds he was described as "a tireless runner and top speed dribbler" and "a clever exponent of the forward game". In total he scored ten goals in 31 appearances during his only season with the club before moving on to Grimsby Town, where he again lasted just a single season, netting seven times in his 24 league games before moving to Home Park in the summer of 1907. Morris was a regular in the side during his only campaign with Argyle, and had a fair goalscoring record. 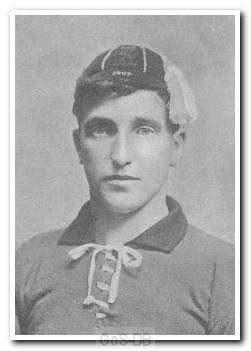 In April 1908 he became the first player to be capped whilst with Argyle when he played for Wales against Ireland in what proved to be his final international appearance. After leaving Plymouth at the end of the 1907-08 season, he had a brief spell with Reading before ending his career at Huddersfield Town.